November 4, 2014 – (Lexington Park, MD 20670 at NAVAIR HQ, Lexington Park, MD 20670, USA) – Program Analyst, Naval Aviation Programs (PPT)Click here for full details. November 4, 2014 – () – Click here for full details. November 4, 2014 – (on site, at/near the Washington Navy Yard in Washington, DC (20374),, Washington, DC, District of Columbia 20374, USA) – Senior Program Analyst/SME III, DoD Acquisition Click here for full details. November 4, 2014 – () – Program Manager for Baghdād, Iraq Click here for full details. November 4, 2014 – (, Edgewood, MD 21005, United States) – Staff Logistics Analyst III – APG, MD (2851) Click here for full details. November 4, 2014 – (Edgewood, Edgewood, MD 21005, United States) – Staff Logistics Analyst IV – APG, MD (2852) Click here for full details. November 4, 2014 – (Washington Navy Yard, 20374, Washington, DC, district of Columbia 20374, USA) – Data Analyst, DoD Business Analytics & Analysis Click here for full details. November 4, 2014 – (Washington Navy Yard, 20374, Washington, DC, District of Columbia 20374, USA) – Sr. Strategic Supply Chain Manager, AviationClick here for full details. November 4, 2014 – (on site at NAVAIR HQ, Pax River, Lexington Park, Maryland 20670, USA) – Business Communications Analyst/Speech Writer (90 day assignment) Click here for full details. November 4, 2014 – () – Business Data Analyst Click here for full details. November 4, 2014 – () – Associate Director of End User Training Click here for full details. November 4, 2014 – (Ft Huachuca, Sierra Vista, AZ 85670, USA) – ESTIMATOR STRUCTURAL Click here for full details. November 4, 2014 – (, Norfolk, VA , USA) – Instructional Systems Designer Click here for full details. November 4, 2014 – (Ft Huachuca, Sierra Vista, AZ 85670, USA) – ESTIMATOR MECHANICAL Click here for full details. November 4, 2014 – (, Norfolk, VA , USA) – Multimedia Designer/Programmer Click here for full details. November 4, 2014 – (Ft Huachuca, Sierra Vista, AZ 85670, USA) – ESTIMATOR ELECTRICAL Click here for full details. November 4, 2014 – (, San Diego, Ca , ) – Cyber Security Analyst Click here for full details. November 4, 2014 – (Pentagon, Arlington, VA 22201, United States) – IT Policy Analyst Click here for full details. November 4, 2014 – (, Sao Paulo, Sao Paulo , BR) – Técnico de Suporte Click here for full details. November 4, 2014 – (, Seattle, WA , US) – HP Cloud – Product Manager Click here for full details. November 4, 2014 – (, Sunnyvale, CA , US) – HP Cloud – Strategic Partner Manager Click here for full details. November 4, 2014 – (, Corvallis, OR , US) – OpenStack Cloud Developer – HP Cloud Click here for full details. November 4, 2014 – (, Sunnyvale, CA , US) – HP Cloud – Business Planning Manager Click here for full details. November 4, 2014 – (, Seattle, WA , US) – Technical Compliance Program Manager, HP Helion Click here for full details. November 4, 2014 – (, Seattle, WA , US) – HP Helion – Software Security Engineer Click here for full details. November 4, 2014 – (, Seattle, WA , US) – HP CLOUD- Security Architect Click here for full details. November 4, 2014 – (, Ft. Collins, CO , US) – Senior Network Function Virtualization Engineer – HP Helion Click here for full details. November 5, 2014 – (, Bellevue, Washington 98004, United States) – Accounting Manager Click here for full details. November 4, 2014 – (, Kent, Washington 98032, United States) – Packer 2014-1828 Click here for full details. November 4, 2014 – (, Seattle, Washington 98108, United States) – Sales Manager 2014-1827 Click here for full details. November 4, 2014 – (, Aurora, Colorado 80011, United States) – Warehouse Worker (Aurora, CO) 2014-1629 Click here for full details. November 4, 2014 – (, Los Angeles, California 90094, United States) – Director, Extramural Fund Management Click here for full details. November 4, 2014 – (University of Texas at El Paso , El Paso, Texas 79902, United States) – Administrative Service Coordinator (College of Engineering) Click here for full details. November 3, 2014 – (University of Texas at El Paso , El Paso, Texas 79902, United States) – Accountant I-10022081 Click here for full details. November 3, 2014 – (University of Texas at El Paso , El Paso, Texas 79902, United States) – Research Associate-10067029 Click here for full details. November 3, 2014 – (San Diego Lindbergh International Airport (SAN), San Diego, CA 92101, USA) – Click here for full details. November 3, 2014 – (University of Texas at El Paso , El Paso, TX 79902, United States) – Business Manager-10022387 Click here for full details. November 3, 2014 – (Ronald Reagan National Airport (DCA), Washington, DC 20001, USA) – Click here for full details. November 3, 2014 – (University of Texas at El Paso , El Paso, Texas 79902, United States) – Program Coordinator (Wellness Program) – 10067020Click here for full details. November 3, 2014 – (Philadelphia International Airport (PHL), Philadelphia, PA 19153, USA) – Click here for full details. November 3, 2014 – (Baltimore/Washington Thurgood Marshall International Airport (BWI), Baltimore, MD 21061, USA) – Click here for full details. November 3, 2014 – (, Camarillo, CA 93012, USA) – Seeking Compliance Manager for Camarillo, CA Click here for full details. November 3, 2014 – (University of Texas at El Paso , El Paso, Texas 79936, United States) – Electrician I-10019441 Click here for full details. November 3, 2014 – (University of Texas at El Paso , El Paso, Texas 79902, United States) – Instrumentation Technician III-10021928 Click here for full details. November 3, 2014 – (University of Texas at El Paso , El Paso, Texas 79936, United States) – Assistant Professor (Violin) Click here for full details. November 3, 2014 – (Edgewood, MD 21005, Edgewood, MD 21005, USA) – Fielding Coordinator III – APG, MD (2850) Click here for full details. November 3, 2014 – (Fort Detrick, MD, Fort Detrick, MD 21702, USA) – Program Analyst IV – Ft. Detrick, MD (2849) Click here for full details. November 3, 2014 – (151 Lafayette Dr, Oak Ridge, TN 37831, USA) – Call Center Representative – Nurse Advice Line (TN) Click here for full details. November 3, 2014 – (, Broomfield, Colorado 80021, USA) – Call Center Representative – Nurse Advice Line (CO) Click here for full details. November 3, 2014 – (, Ft Knox, KY 40122, US) – General Clerk III Temporary (1932-205) Click here for full details. November 3, 2014 – (Sheraton San Diego Hotel & Marina, 1380 Harbor Island Drive , San Diego, CA 92101, USA) – San Diego Job Fair Dec 4-5 2014Click here for full details. November 1, 2014 – (, Colorado Springs, CO , US) – Systems Software Engineer Click here for full details. October 31, 2014 – (, Sugar Land, Texas 77478, United States) – PDMS Administrator 2014-1825 Click here for full details. October 31, 2014 – (, Seattle, Washington 98108, United States) – Welder – Intermediate (Large Containers) 2014-1824 Click here for full details. October 31, 2014 – (, Seattle, Washington 98108, United States) – Welder – Intermediate (Small Containers) 2014-1823 Click here for full details. October 31, 2014 – (, Houston, Texas 77025, United States) – Warehouse Order Puller 2014-1821 Click here for full details. October 31, 2014 – (, Leesville, Louisiana 71446, United States) – Junior Recruiter 2014-1542 Click here for full details. October 31, 2014 – (, Dixon, California 95620, United States) – Production Worker (Dixon Ca) 2014-1442 Click here for full details. October 31, 2014 – (Missouri State University-West Plains, West Plains, MO 65775, US) – Registrar Click here for full details. October 31, 2014 – (, Quantico, Virginia 22134, United States) – Senior Military Analyst – Monthly Newsletter Editor Click here for full details. October 31, 2014 – (, Alexandria, Virginia , United States) – M&S Standards Lead Click here for full details. October 31, 2014 – (, San Dielgo, CA 92110, ) – Sr Business Analyst – Corporate Strategy (San Diego) Click here for full details. October 31, 2014 – (, Washington DC Area, District of Columbia 00000, United States) – Senior Business Analyst Click here for full details. October 31, 2014 – (, Alexandria, Virginia 00000, United States) – M&S Process Lead Click here for full details. October 31, 2014 – (, Ft. Hood, TX 76544, ) – Laborer – Grounds Maintenance (1975-205) Click here for full details. October 31, 2014 – (, Plano, TX , US) – Manager Business Strategy Click here for full details. October 31, 2014 – (, Alexandria, VA , US) – Business Analyst Click here for full details. October 31, 2014 – (, Largo, MD , US) – Test Engineer Click here for full details. October 31, 2014 – (, Seaside, CA , US) – Business Analyst Click here for full details. October 31, 2014 – (, Alexandria, VA , US) – Test Engineer Click here for full details. November 3, 2014 – (, San Diego, California 92130, United States) – Accounts Payable Specialist Click here for full details. October 31, 2014 – (, Quebec-Mirabel , , canada) – Software Developer Click here for full details.  October 30, 2014 – (Long Island, Brookhaven, NY , ) – Service Technician II Click here for full details. October 30, 2014 – (, Washington, DC , United States) – Project Manager Click here for full details. October 30, 2014 – (, Dahlgren, VA 22448, US) – Secretary II – CERO (2) (1974-205) Click here for full details. October 30, 2014 – (, Crane, IN 47552, US) – Secretary II (1860-205) Click here for full details. October 30, 2014 – ( , Ft Greely, AK 99731 , US) – Quality Control Manager – Fort Greely, Alaska (1898-205) Click here for full details. October 30, 2014 – (, San Diego, CA 92110, U.S) – Senior Software Engineer/Developer Click here for full details. October 30, 2014 – (, Baghdad,, , Iraq) – Weather Service Specialist For Iraq Click here for full details. October 29, 2014 – (, Houston, Texas 77023, United States) – Civil Engineer 2014-1820 Click here for full details. October 30, 2014 – (, Leesville, Louisiana 71446, United States) – Outbound Operations Agent Assistant 2014-1819 Click here for full details. October 29, 2014 – (, Simi Valley, California 93065, ) – Receiver/Material Handler (Simi Valley, CA) 2014-1818 Click here for full details. October 29, 2014 – (, Kent, Washington 98032, United States) – Runner 2014-1817 Click here for full details. October 29, 2014 – (, Houston, Texas 77023, United States) – Technical Security Analyst II 2014-1816 Click here for full details. October 29, 2014 – (, Quantico, Virginia 22134, United States) – CD063 CISB-IT Sect-FuOps-Senior Network Engineer 2014-1810 Click here for full details. October 29, 2014 – (, Quantico, Virginia 22134, United States) – ED017. Command & Control/Information Management Analyst, External Elements 2014-1807 Click here for full details. October 29, 2014 – (, Camp Pendleton, California 93065, United States) – CT001 Operator-Instructor – System Administrator for Maneuver C2 Systems 2014-1806 Click here for full details. October 29, 2014 – (, Camp Pendleton, California 93065, United States) – SS010. Deployed Virtual Training Environment (DVTE) Technical Support Specialist 2014-1798 Click here for full details. October 30, 2014 – (, Fallon, Nevada 00000, United States) – Naval Aviation Spectrum Lead Click here for full details. October 29, 2014 – (, Washington DC Area, Dist. Columbia 00000, United States) – Cloud Cybersecurity Analyst Click here for full details. October 29, 2014 – (, Reston, Virginia 20191 , United States) – Navy Capture Manager Click here for full details. October 29, 2014 – (7010 Pritchard Road, Jacksonville, Florida 32219, United States) – Safety Manager Click here for full details. October 29, 2014 – (2987 Clairmont Road, Atlanta, GA 30329, United States) – Safety Manager Click here for full details. October 29, 2014 – (2987 Clairmont Road, Atlanta, GA 30329, United States) – Director, Load Planning Click here for full details. October 29, 2014 – (, Arlington, Virginia 00000, United States) – Naval Spectrum Supportability Senior Analyst Click here for full details. October 29, 2014 – (2987 Clairmont Road, Atlanta, GA 30329, United States) – Intermodal Customer Operations Coordinator Click here for full details. October 29, 2014 – (1801 Park 270 Dr. , St. Louis, MO 63146, United States of America) – Manager, Cost Control Click here for full details. October 29, 2014 – (San Diego, CA, San Diego, CA 92110, USA) – Senior Software Engineer Click here for full details. October 29, 2014 – (San Diego, CA, San Diego, CA 92110, USA) – Engineering Project Lead Click here for full details. October 29, 2014 – (Los Angeles International Airport (LAX), Los Angeles, CA 90045, USA) – Click here for full details.